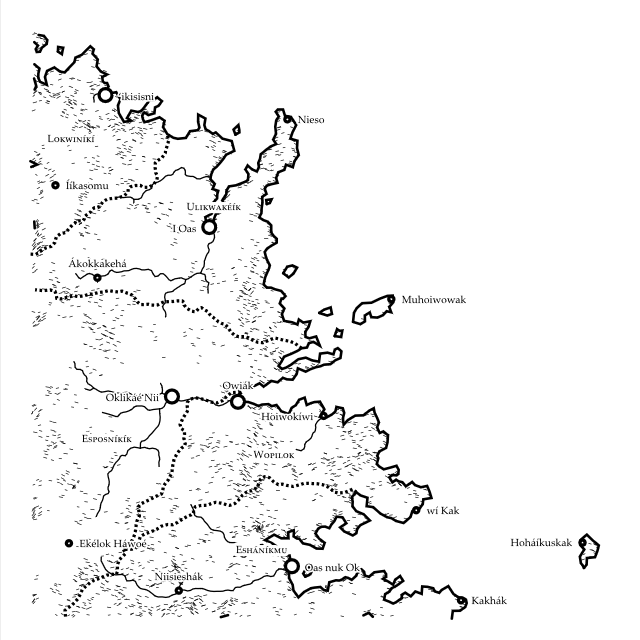 Autogenerating fantasy world maps is now possible with an incredible online tool coded by Martin O’Leary. Currently mainly existing to feed material to the Uncharted Atlas twitterbot, the tool and its code are available for others as well. “I wanted to make maps that look like something you’d find at the back of one of the cheap paperback fantasy novels of my youth. I always had a fascination with these imagined worlds, which were often much more interesting than whatever luke-warm sub-Tolkien tale they were attached to. Uncharted Atlas also generates names for cities, towns, and regions with a separate bit of code, following a set of consistent rules. For an explanation of how it works and to try your own hand at it, see the terrain notes and language notes. As a user, I’d like to see a way to connect several of these individual maps into a larger unity, but that’s getting ahead of things—just having a free tool like this is fantastic. 🙂 Kudos!